Happy Monday! Today we would like to introduce our new sponsor, Michaels! For this post, we are featuring some DIY ideas that you can make for your wedding for less! When I was planning my wedding, I depended heavily on DIY projects to cut some costs and was happy to find all my DIY needs at Michaels! From paper to a little glitter to make your day sparkle, Michaels has all the tools you need to create your dream wedding without breaking the bank. And to get your wedding DIY projects started, Michaels is offering all our blog readers 20% off your entire regular price wedding purchase. Click here to receive your exclusive discount coupon.This offer is valid from April 29, 2012 to June 30, 2012! Below are some great DIY ideas that you can make for your wedding. Make your reception personal with these Celebrate It™ Bride & Groom Signs. Better yet, you can even change the ribbon to match your wedding colors to make it more personal. 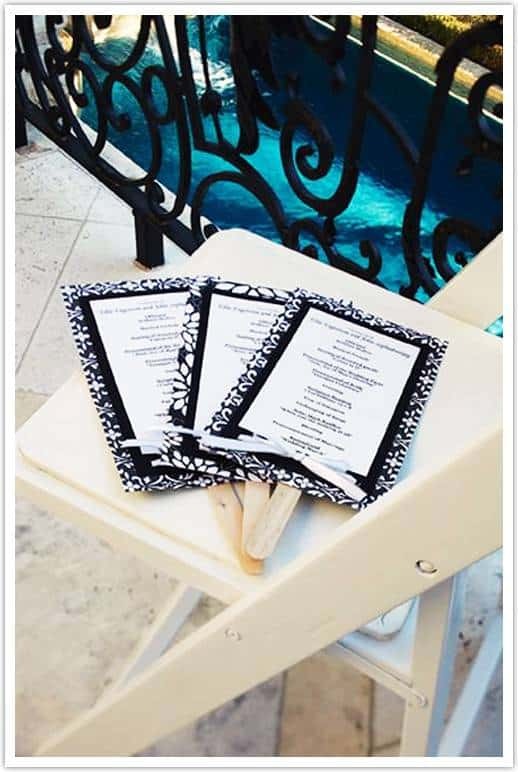 I wanted to make program fans for my wedding since we originally wanted to have an outdoor wedding. These fans will definitely keep your guests cool and entertained at the same time. This is a fun DIY project that you and your bridesmaids can all enjoy making. 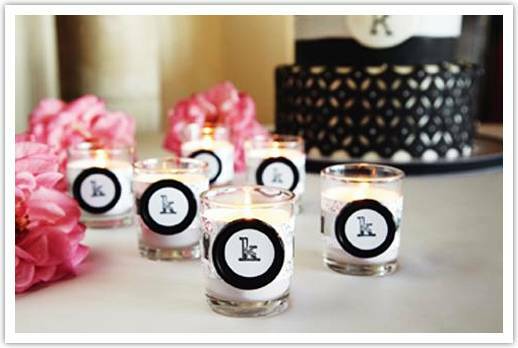 love the monogram candles. thanks for the coupon..